Whether it’s HVAC piping or traditional plumbing, we’ve got you covered. You won’t find a firm with more varied pipe-fitting and plumbing experience. We’ve installed 1,000,000 gallon chilled water storage systems and we’ve installed hundreds of toilets within a stadium. 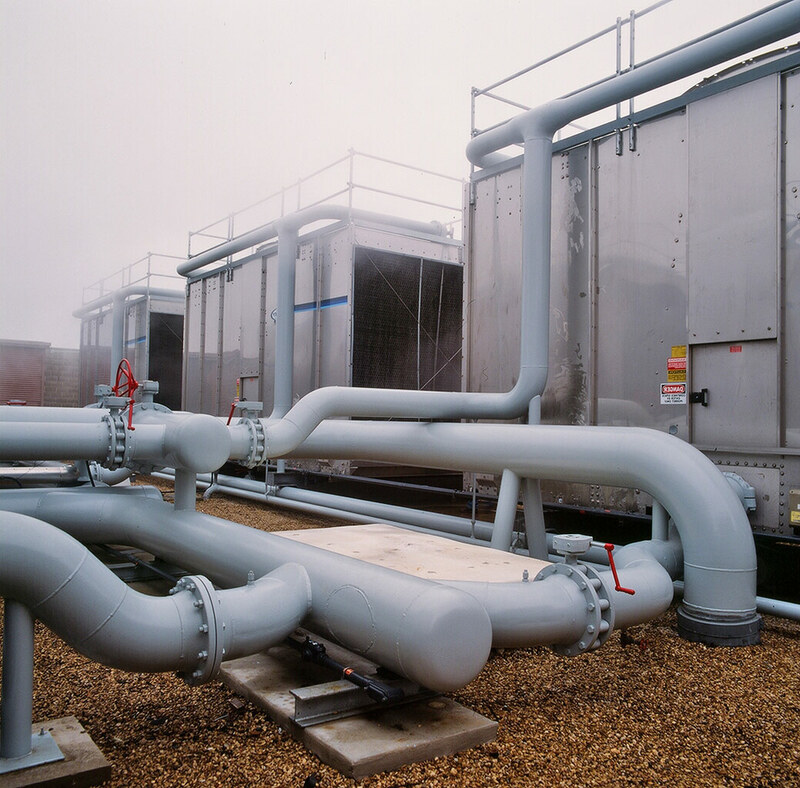 From chillers and cooling towers to one of the first rainwater harvesting systems, we’ve fabricated and installed projects calling for road closures, special permitting, overhead cranes, and more. We prefabricate many of our plumbing and pipe-fitting installations and use state-of-the-art equipment and techniques to deliver a faster, cleaner field installation for you. Let our many certified welders and licensed plumbers fabricate any size pipe you need, from ½” copper to 42” steel. We provide quality work done right the first time be it for your conventional HVAC or plumbing, your solar water heating system, reclaim water system or weekend/holiday chiller or boiler replacement.